Experience the deep relaxation of a Sound Bath relaxation session. Unlike meditation or Yoga you don’t have to train to feel the meditative and relaxing state offered by a Sound Bath, you just have to let the sound waves wash over you. We offer both Relaxation and Therapy sessions here at Chater Valley. They usually last about an hour. So stop worrying about the past or trying to control the future. Instead, take an hour off the grid and feel absolutely content in the present moment. Restore balance in your life, rejuvenate your spirit and give every cell in your body a massage with the power of sound vibration. It will quell the overriding sense of fear and anxiety, and bring in feelings of calmness, clarity and well-being. 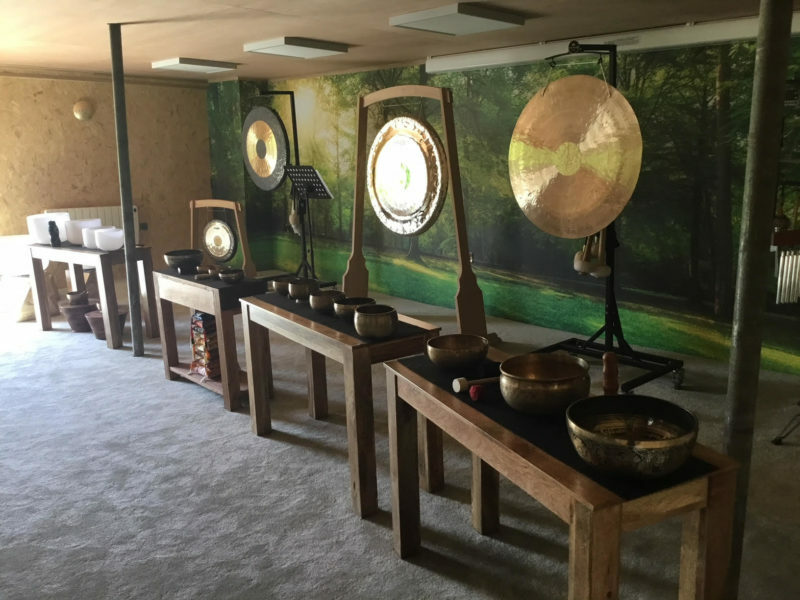 Imagine being immersed in beautiful sounds that are healing to your body, mind and soul…..
A Soundbath is a semi improvised concert that will bring up different emotions for different people. Think of it like a sonic massage. Part meditation, part listening exercise, sound baths are healing musical performances played with Himalayan singing bowls, crystal bowls, gongs and therapeutic percussion instruments. As the name suggests, a Sound Bath is an immersion in beautiful sounds and vibrations that are healing for your body, mind and spirit. A Sound Bath is a deeply relaxing, meditative experience which can take you on a journey of deep relaxation, healing and self discovery. Every organ and every cell in our body vibrates at a particular frequency. Sound and vibration travels up to five times more effectively through water. As the human body is made up of over 70% water we can understand that sound and vibration can effect us at a cellular level. One way sound can help create deep states of relaxation is through altering our brainwave states. The cocoon of vibration and slow sound waves scientifically soothes your nervous system and reduces stress through a process called entrainment. When our brainwave state moves from the normal waking state (Beta) down to Alpha (conscious relaxed state), Theta (dreamlike state), and sometimes even delta (deep sleep) we experience a decrease in heart rate and blood pressure, our bodies relax, our breath deepens, and we move into a receptive state where relaxation and healing can occur. You don’t need any training to prepare for a sound bath. It is helpful to keep well hydrated the day before attending or on the day itself if the sound bath is taking place later in the day. Wear loose comfortable clothing without belts and preferably with no metal buttons or fasteners. Everything is provided – mats, pillows, blankets, even filtered water; all you need to bring is an open heart hand mind, plus a pair of socks! Sound Baths provide the space and sounds for you to relax at a profound level. This allows your body to find its natural balance while creating space for insights. People often find resolution for emotional issues and a sense of coming home to themselves. What does a Sound Bath look like? Most people lie down during a Sound Bath, some choose to sit in a comfortable chair. Eye pillows are often used to help you feel calm and heighten your other senses, especially hearing. We often darken the Sound Room and everything is in place for a peaceful, relaxing time. The sessions lasts for about an hour. Most of the instruments are played from one place and occasionally they are brought around the room and sometimes played over your body. The vibrations from the gongs are especially powerful. 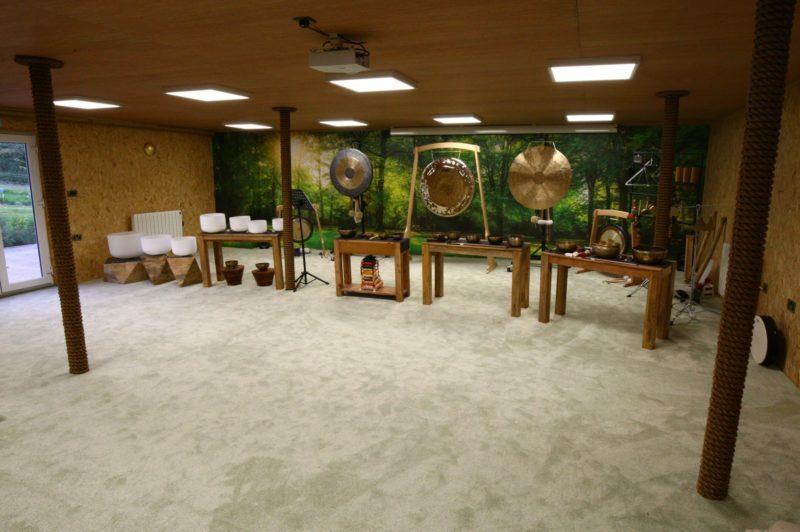 The Sound Bath is a healing session you can experience while resting in a safe and secure place. 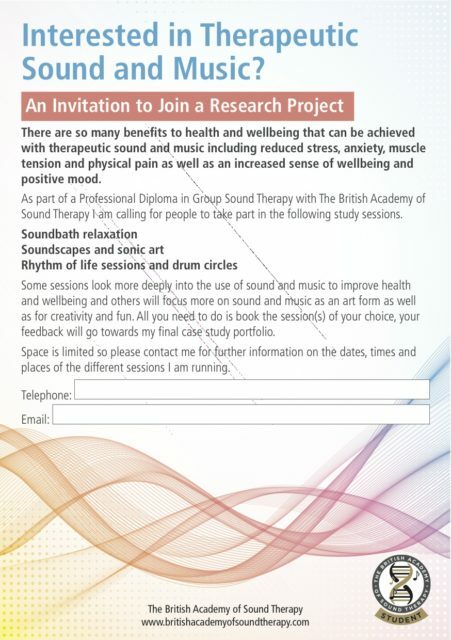 A Sound Bath is an experience which is particular to each person. The results are waves of peace, heightened awareness, and relaxation of the mind, body and spirit. Some people experience emotional healing, others great insights into their lives. Unlike other forms of meditation, sound baths are easily accessible. The Gong shuts down the ego point blank and nothing can override it. You can’t help but fall into a deeply relaxed meditative state. Sound baths, which predate Christ and have been scientifically linked to reductions in stress and anxiety, are now becoming more popular. Some people unwind with a nice, long bubble bath. Others prefer a sound bath. Sound baths are meant to help facilitate a shift in your brainwave state. Through frequency and entrainment with sound it’s possible, and very easy, to down-shift our normal beta state (normal waking consciousness) to alpha (relaxed consciousness), with the majority of people able to reach theta (meditative state) and even delta (where internal healing can occur). This experience is helpful for anyone who wants to give themselves a moment of relaxation or gain the benefits from meditation, but has not yet learned how to access on their own. For beginners, meditation requires a verbally guided experience, i.e. go to a quiet place and find a stream or repeat a mantra… The Sound Bath experience is about letting the sound take you to a deeper place making it easier to arrive in a relaxed state without complicating how to get there. Sound is the vessel and it allows you to explore and identify what a meditative state is and how it feels. Because of this, a Sound Bath is not only beneficial for beginners of meditation, a seasoned meditator will find as many benefits. Sound baths are for groups of people where each person has their own personal space. The experience begins with each person lying down on a comfortable mat with cushioning and an eye mask. After a few minutes of breath work the remainder of the experience is filled with different sounds and frequencies being introduced in succession. The purpose, and our collective goal, is to induce relaxation and explore personal inquiry.